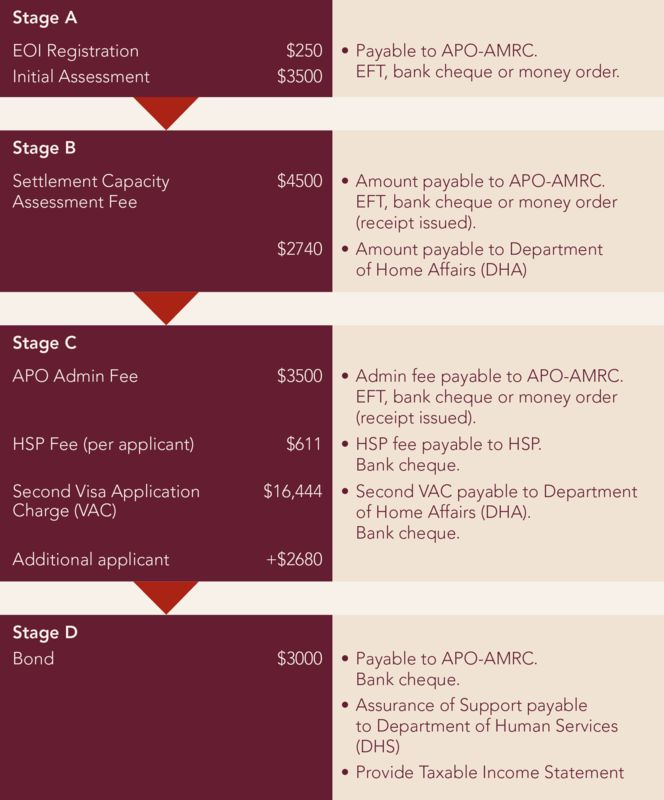 The AMRC has been appointed as APO under a deed of agreement with the Department of Home Affairs to propose applicants who are in humanitarian situations overseas. The CSP enables communities, businesses, families and individuals to propose humanitarian visa applicants with employment prospects and to support new humanitarian arrivals in their settlement journey. What are APOs responsible for? sourcing suitable, appropriate and relevant employment opportunities from reputable employers or community organisations. What are the eligibility requirements for applicants? be residing in a resettlement priority country. What are the eligibility requirements for proposers? be able to assist the applicant to gain relevant training and employment. The Assurer commits Assurance of Support to Australian government for 12 months.